Homer and Peter S. at Scullers Head. A nice article about Labradors by Chris Dodd! The fox red Labrador in the Cambridge scarf [a photo taken by Tim Koch] is my dog Homer, who is four years this month. 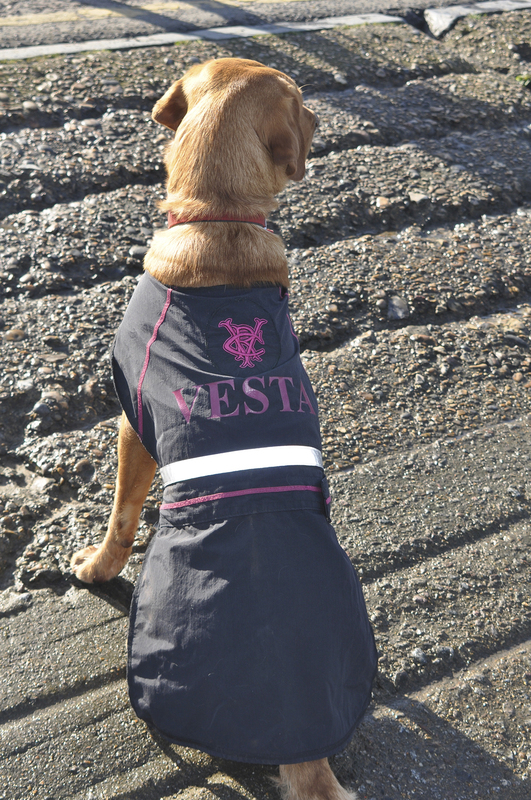 I am a member of Vesta RC and Homer is often found in the Vesta Bar or waiting in the gym for me to come off the water. 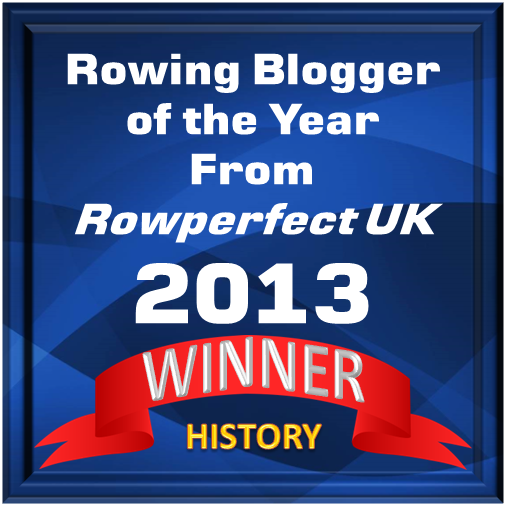 On the Tideway Head days he wears his Vesta splashtop which matches mine (see photos from the Scullers Head). Homer in his Vesta splashtop. 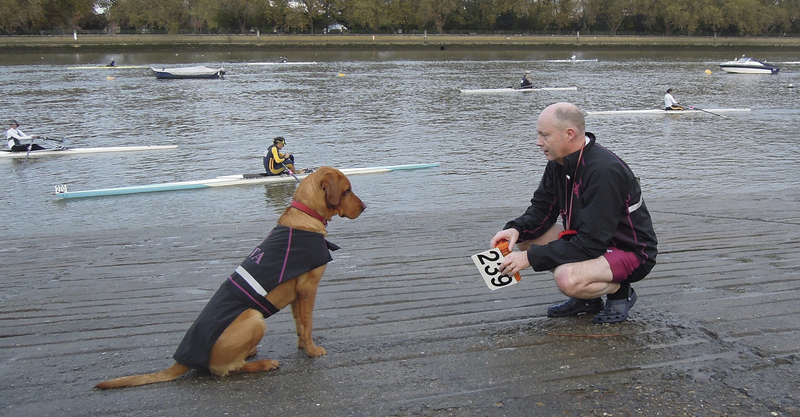 Also in Putney, Patrick Duggan from Kings College School has two yellow labs – Toby, who is now about 10 years old, and Meg, who is just a year. Toby often rides in the launch but I haven’t seen Meg in a boat yet.